This condition is called lipodystrophy. It is one of the most underappreciated and unattended challenges of the HIV epidemic. This post was originally written for the AIDS Drug Assistance Programs (ADAP) Advocacy Association’s blog. 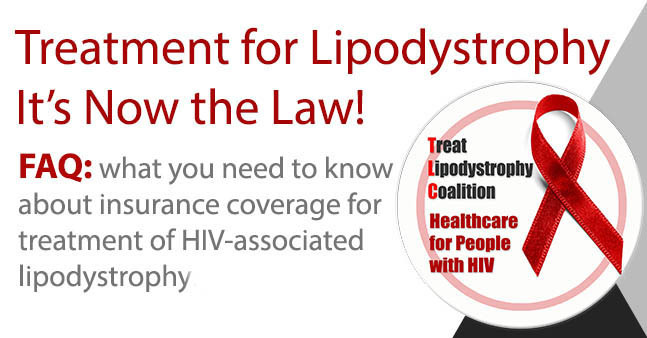 Several years ago, my organization – GLBTQ Legal Advocates & Defenders (GLAD), a legal group that fights discrimination on the basis of sexual orientation, gender identity and expression, and HIV status – began to hear from people who had been unfairly denied medical care by insurers on the specious grounds that treatment for lipodystrophy is “cosmetic.” It was through representing these individuals in their insurance appeals that I came to fully appreciate the profound physical and psychological harm caused by lipodystrophy – and to understand advocating for treatment as a true life and death matter.